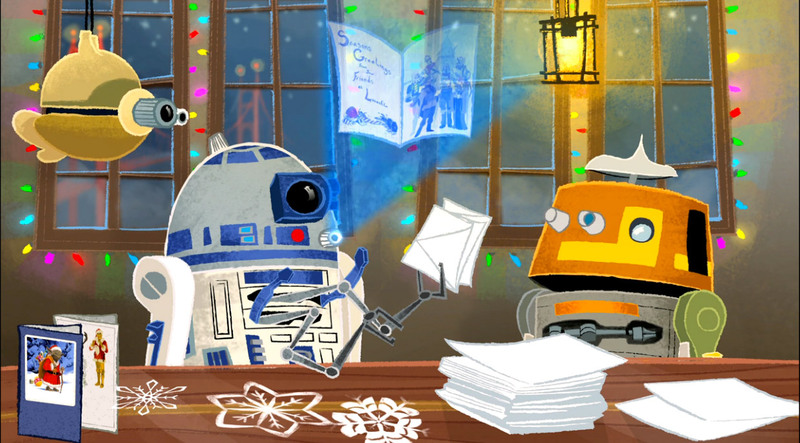 Lucasfilm created a fun animated Star Wars Christmas card for it’s employees and fans this year. It is pretty adorable. It features our old Astromech friend R2-D2, as well as the new droid on the block, Chopper from the animated series Star Wars: Rebels. If you ask me, Chopper is a jerk. I’m Team R2 when it comes to droids. After years of printed cards, I think this may be the first year that Lucasfilm put out an animated card, though I may be wrong.